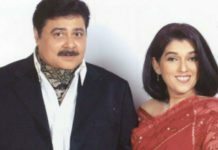 Very few characters have left their mark on television so well that even the shortest exchange of words become a treasure trove of wisdom and truth. 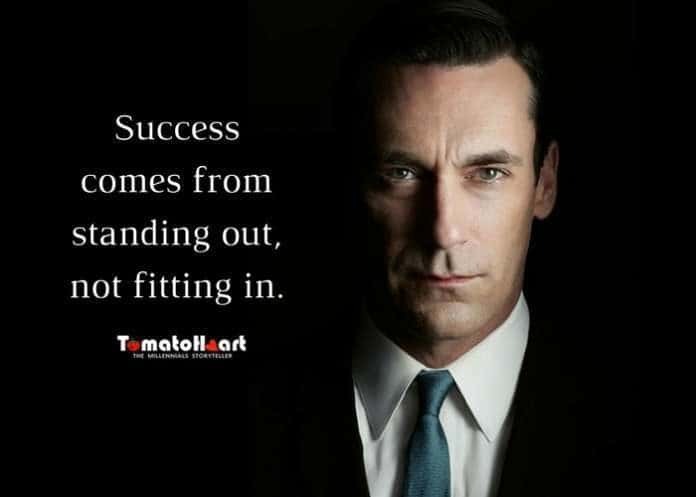 One such character is the mad ad executive Don Draper from the hit series ‘Mad Men’. Check out what the Madison Avenue advertiser has to say about life and work. 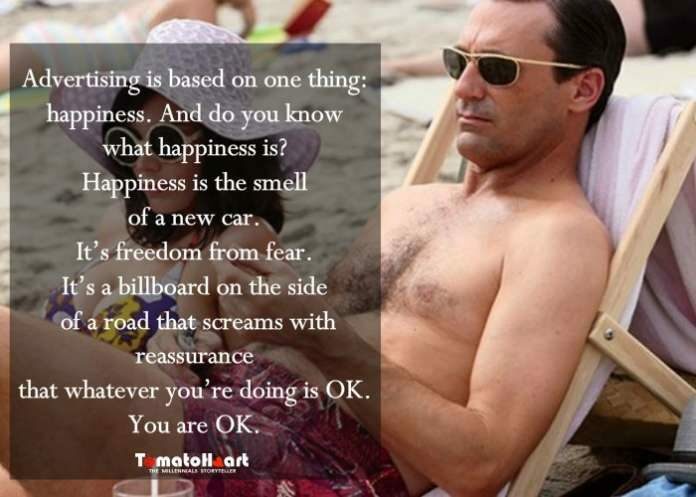 1 Advertising is based on one thing: happiness. And do you know what happiness is? Happiness is the smell of a new car. It’s freedom from fear. It’s a billboard on the side of a road that screams with reassurance that whatever you’re doing is OK. You are OK.
2 You’re born alone and you die alone and this world just drops a bunch of rules on top of you to make you forget those facts. But I never forget. 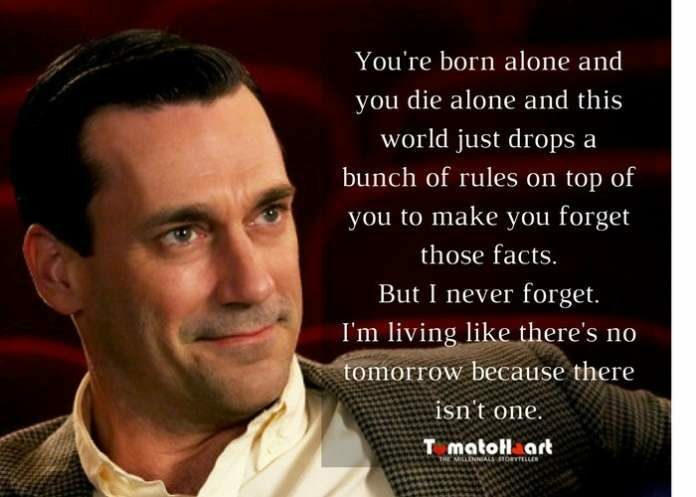 I’m living like there’s no tomorrow because there isn’t one. 3 Well, I hate to break it to you, but there is no big lie. 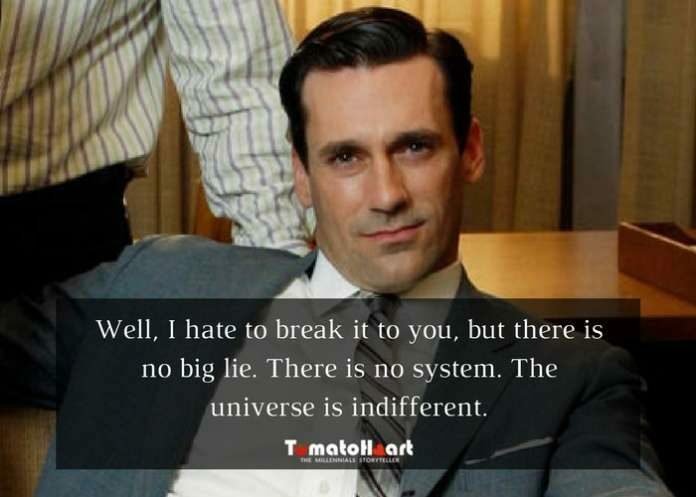 There is no system. The universe is indifferent. 4 It’s your life. You don’t know how long it’s gonna last, but you know it doesn’t end well. 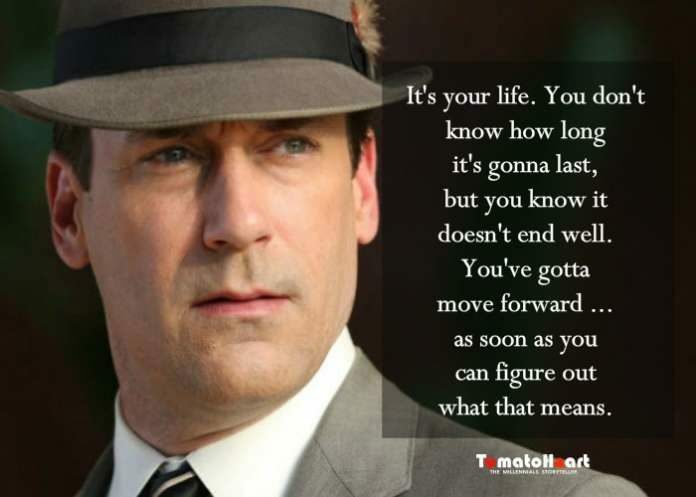 You’ve gotta move forward … as soon as you can figure out what that means. 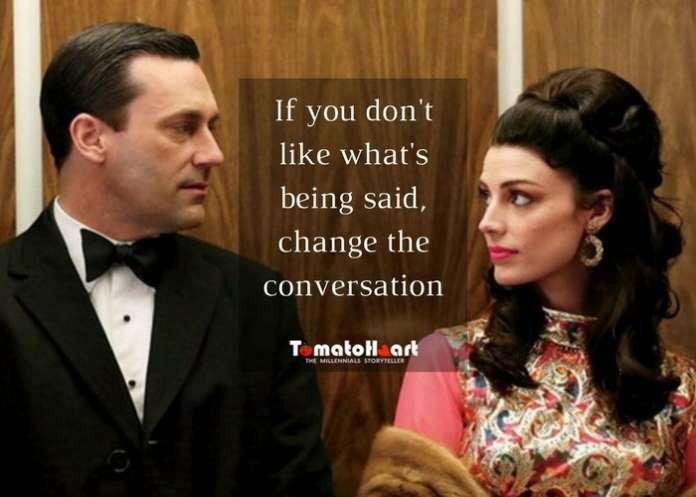 5 If you don’t like what’s being said, change the conversation. 6 You’re good. 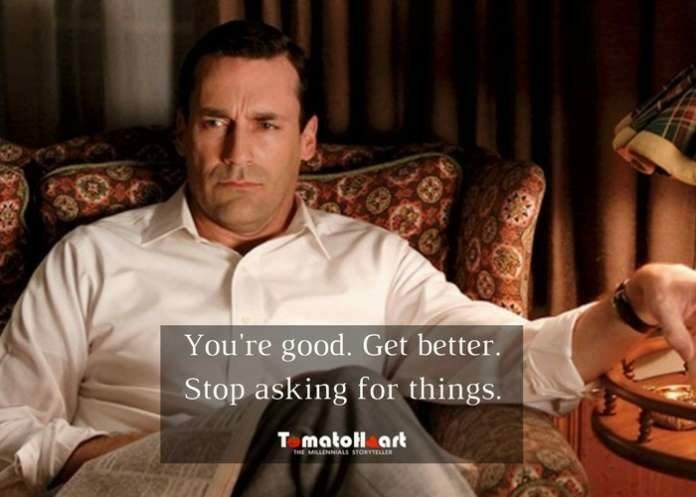 Get better. Stop asking for things. 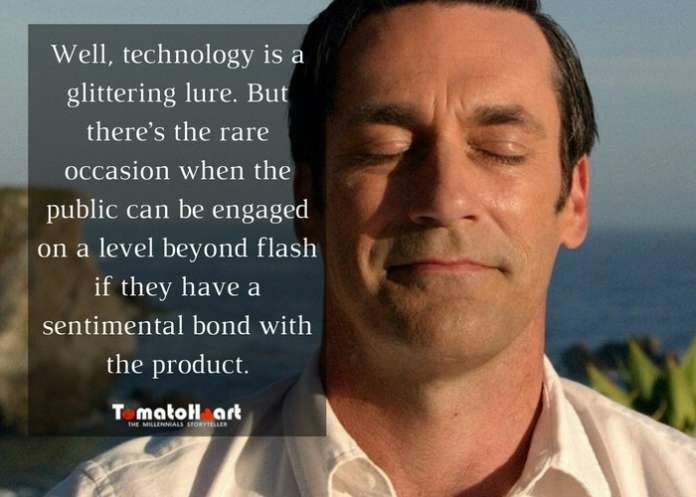 8 Well, technology is a glittering lure. But there’s the rare occasion when the public can be engaged on a level beyond flash if they have a sentimental bond with the product. 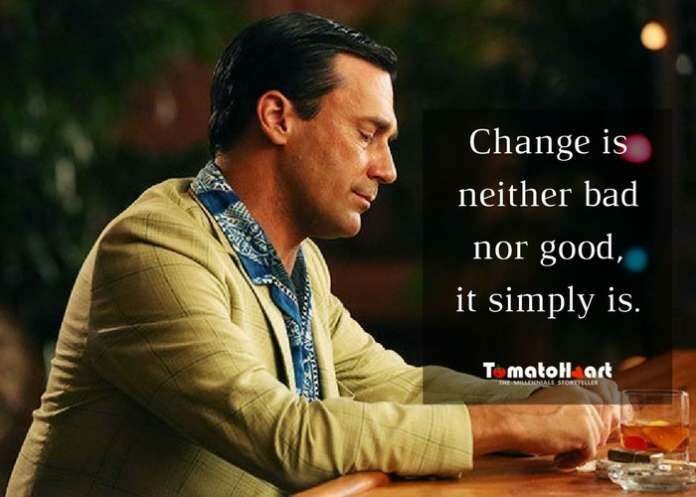 9 Change is neither bad nor good, it simply is. 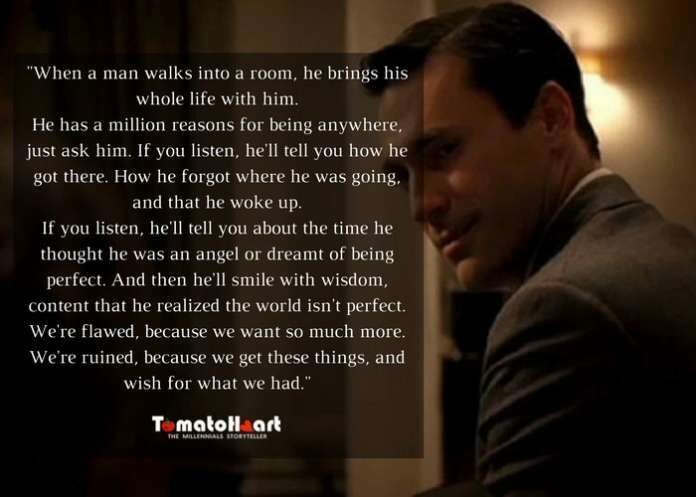 10 When a man walks into a room, he brings his whole life with him. He has a million reasons for being anywhere. Just ask him. 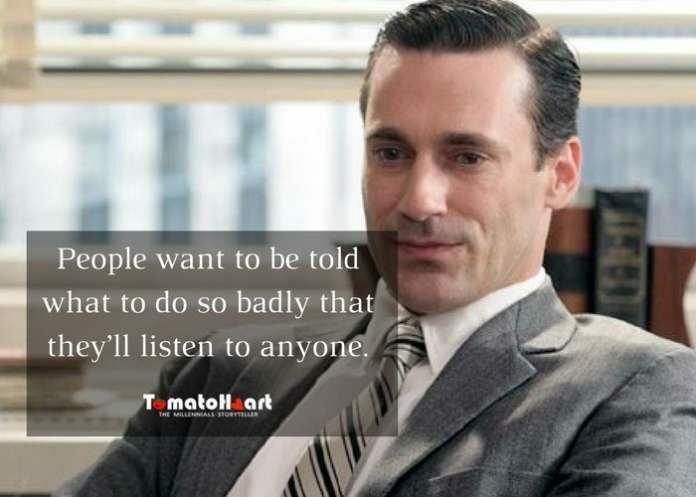 11 People want to be told what to do so badly that they’ll listen to anyone. 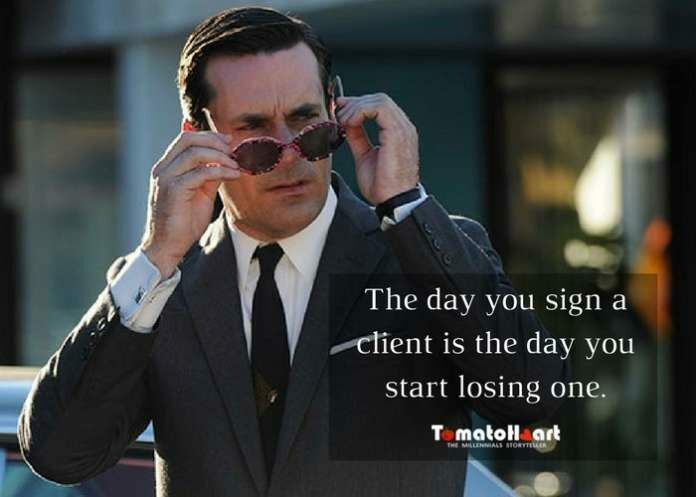 12 The day you sign a client is the day you start losing one. 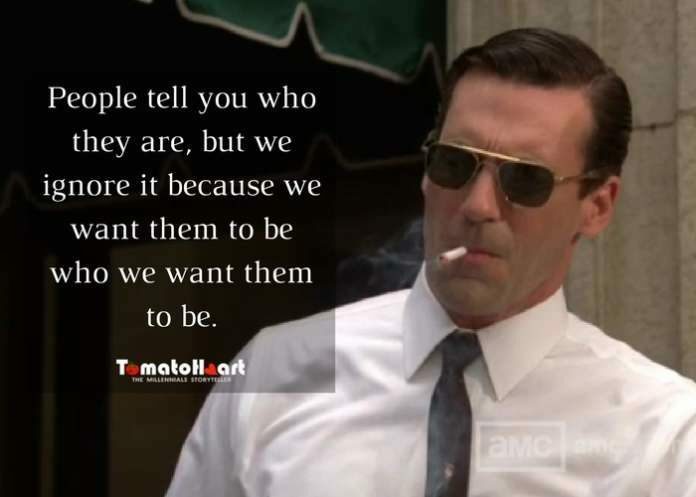 13 People tell you who they are, but we ignore it because we want them to be who we want them to be. 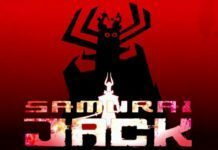 14 Nostalgia – it’s delicate but potent. 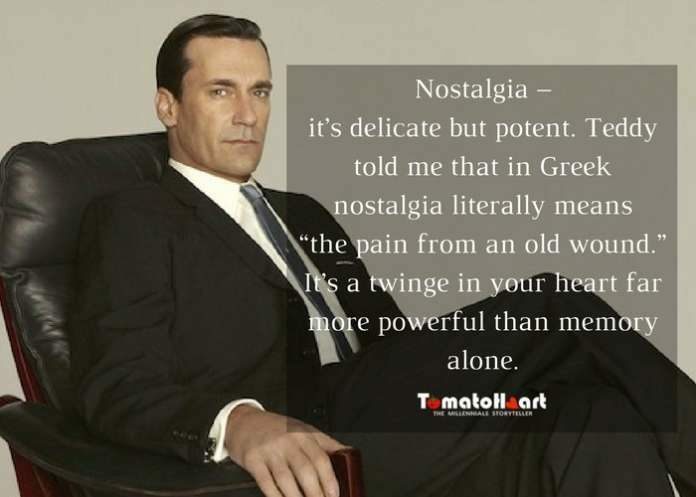 Teddy told me that in Greek nostalgia literally means “the pain from an old wound.” It’s a twinge in your heart far more powerful than memory alone. 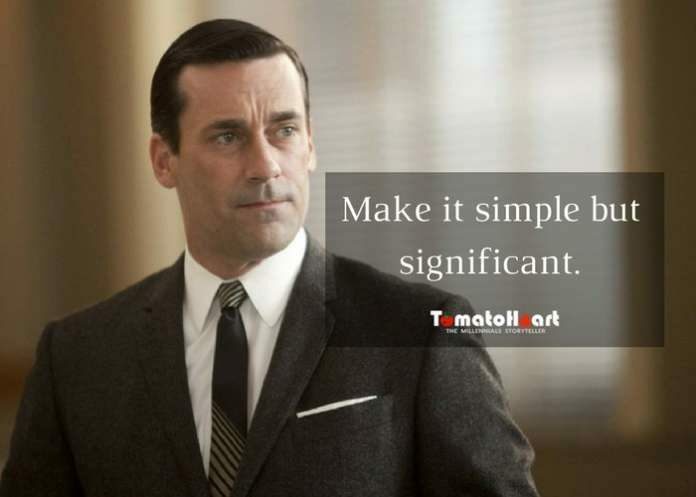 15 Make it simple but significant. Loved the quotes? Share, like, comment and subscribe to Tomatoheart for more thought provoking articles.